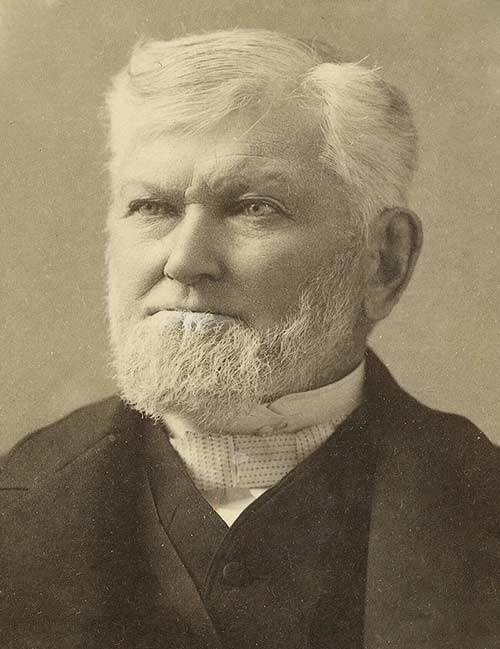 Wilford Woodruff (born March 1, 1807—210 years ago today; died 1898) was called as an apostle in 1839 by Joseph Smith, and sustained as the 4th president of the Church in 1889. He served until his death in 1898 at age 91. "The Lord compared the kingdom of heaven to ten virgins; five were wise and five were foolish; five had oil in their lamps and five had not. 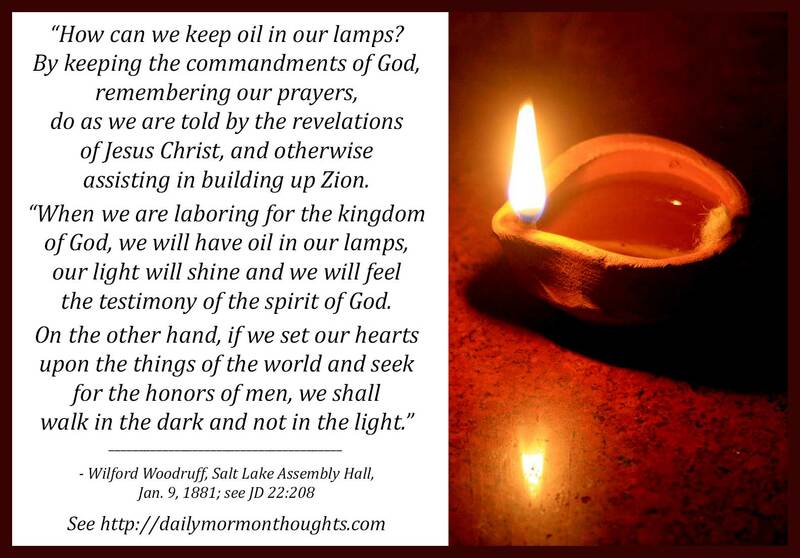 Now the question is, how can we keep oil in our lamps? 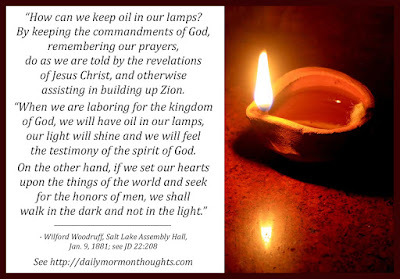 By keeping the commandments of God, remembering our prayers, do as we are told by the revelations of Jesus Christ, and otherwise assisting in building up Zion. "When we are laboring for the kingdom of God, we will have oil in our lamps, our light will shine and we will feel the testimony of the spirit of God. On the other hand, if we set our hearts upon the things of the world and seek for the honors of men, we shall walk in the dark and not in the light. "If we do not value our priesthood, and the work of this priesthood, the building up of the kingdom of God, the rearing of temples, the redeeming of our dead, and the carrying out of the great work unto which we have been ordained by the God of Israel—if we do not feel that these things are more valuable to us than the things of the world, we will have no oil in our lamps, no light, and we shall fail to be present at the marriage supper of the Lamb." In our day, even though oil lamps are ancient relics, the parable is still a valuable scriptural analogy. We might talk instead of having fresh batteries in our flashlights, having the lithium power cell always recharged, or having electricity flowing to the LED. But the analogy still works; we can relate to the need of having an appropriate source of energy for devices that help us see or do essential tasks. The answer to the all-important question changes only superficially over the millennia: "How can we keep oil in our lamps?" The answer includes obedience, worship, and service. This is not a task to be done once and then forgotten; the parable is helpful in reminding us of the ongoing need to be resupplying the fuel source. Keeping the proper perspective on priesthood ordinances and service becomes a measuring standard for our readiness in the Lord's work. When "the things of the world" creep in and take too high a precedence, President Woodruff warns that "we shall fail to be present at the marriage supper of the Lamb."